Apparently, the news that Great Britain will leave the European Union came as a shock to us and probably to most of the public opinion worldwide. Not so much for the British though, who seem to have gotten tired of the greed and arrogance of the European Union officials. As I was trying to better understand this result, I came across a piece of news from 2014. The EU was asking Great Britain to transfer EUR 2 billion more to EU’s general budget because the country was richer than it was initially believed. The European Commission sent a message to London that if they don’t pay, the Commission will ask for written explanations and will apply fines! Well, now they can’t do that anymore and more than that, will lose Great Britain’s contribution to the EU budget, that is approximately 10%. These amounts will now go directly to their citizens. We are going to have access to less European funds for our much needed projects. Thus, we can’t afford the “luxury” to not take it all with a 100% absorption rate. We need quick measures to launch all budget lines, reduce bureaucracy, get rid of the so called artificial conditions, access to more relaxed monitoring, auditing and reporting procedures, getting rid of the bureaucrats who are pushing the breaks of project implementation and reinventing more excessive bureaucracy. To be short, the European funds need to get to the beneficiaries easier and faster. Any public servant who sometimes forgets he is paid by public money, need to finish being arrogant and should start serving the citizen with ethics and respect. A more humble attitude would do much good! Often times, when we need a document from the governmental institutions, we are facing a “wall of arrogance” for having the guts to disturb them. To be short, we need governmental institutions for citizens and not officials. I am now curious what comes next? 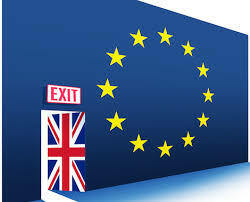 Will the EU change its attitude or the UK example will be followed by other countries, as well.